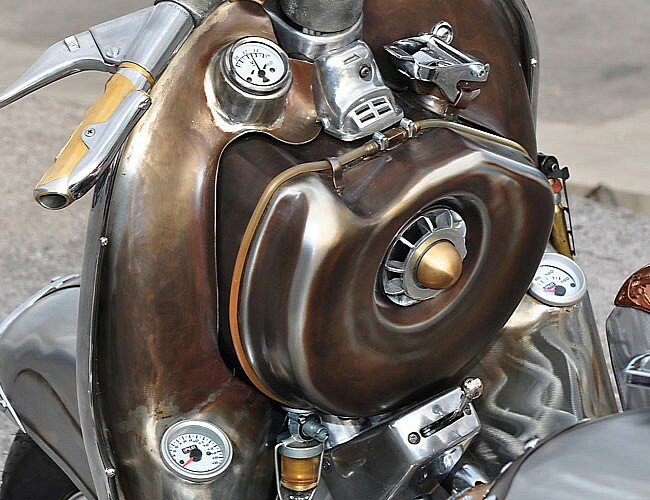 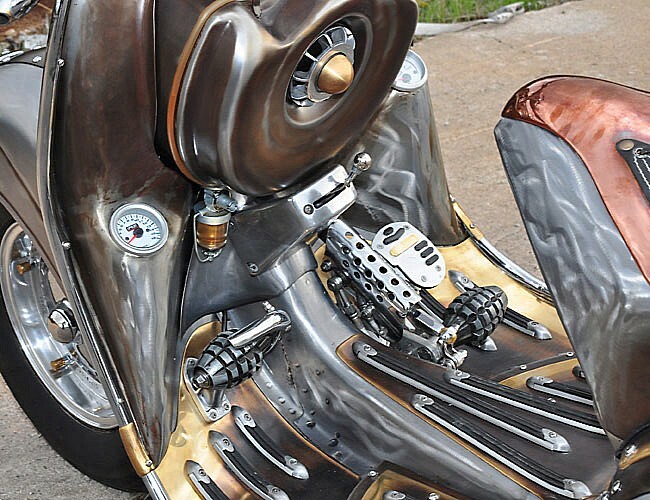 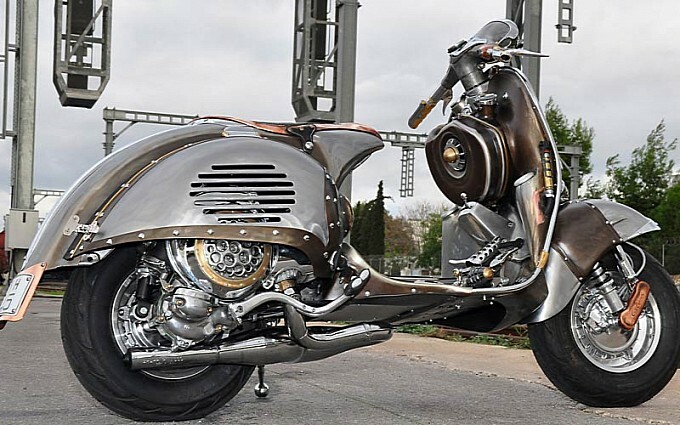 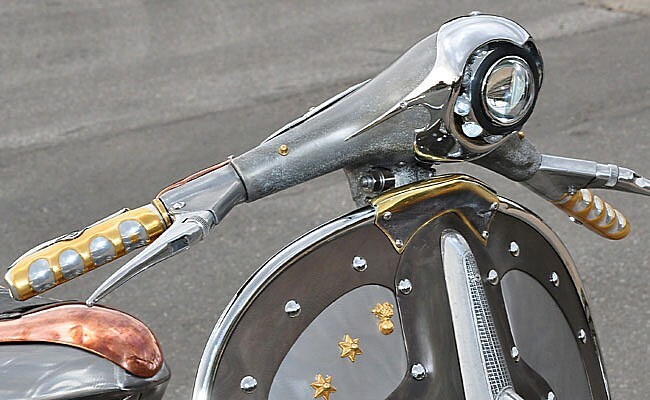 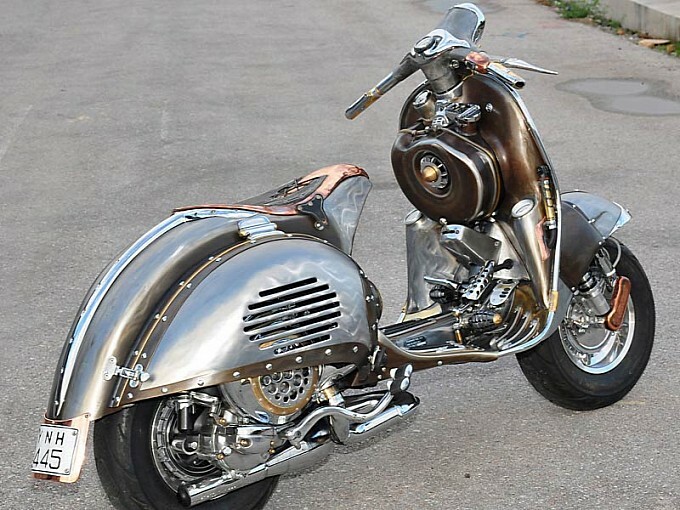 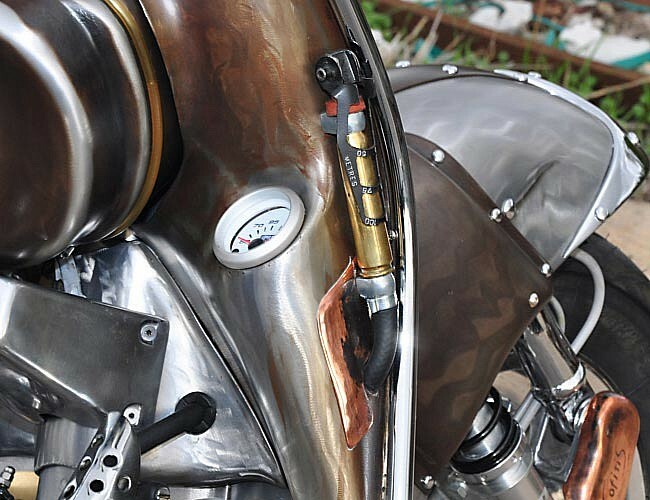 Greek sculptor Cris Cofitis is no stranger to elaborate, custom-built two wheelers. 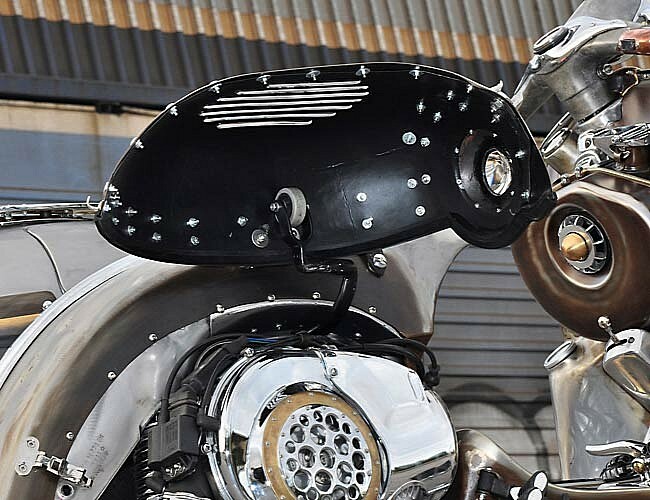 He’s competed at the AMD Championship custom bike build-off at Sturgis. 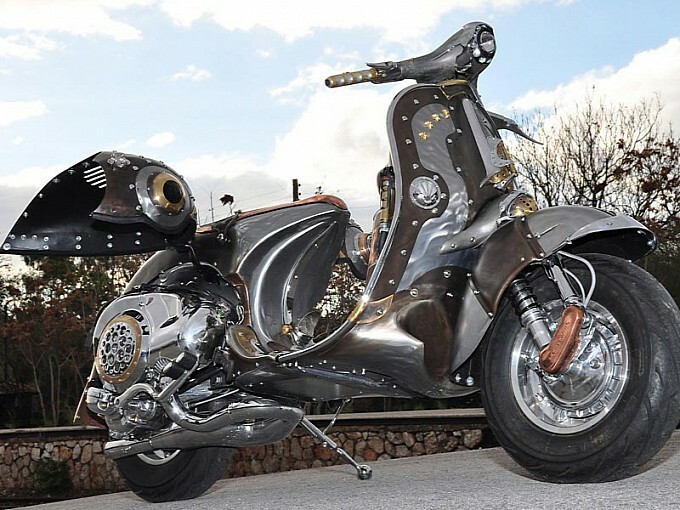 Yet for his latest project, Cris chose a vintage Vespa as the canvas for what is simply a staggering piece of rolling sculpture. 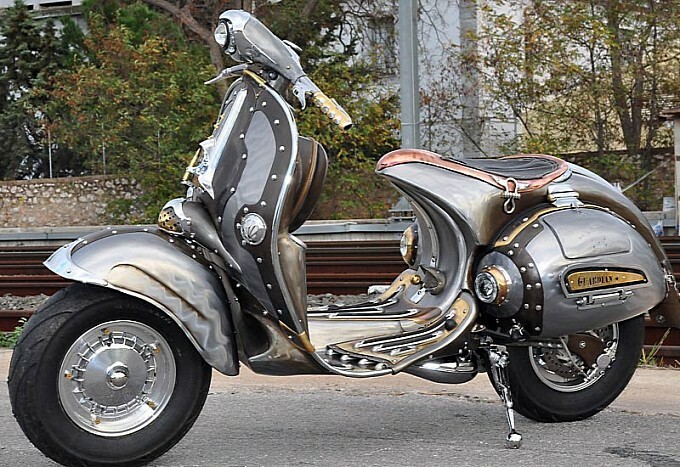 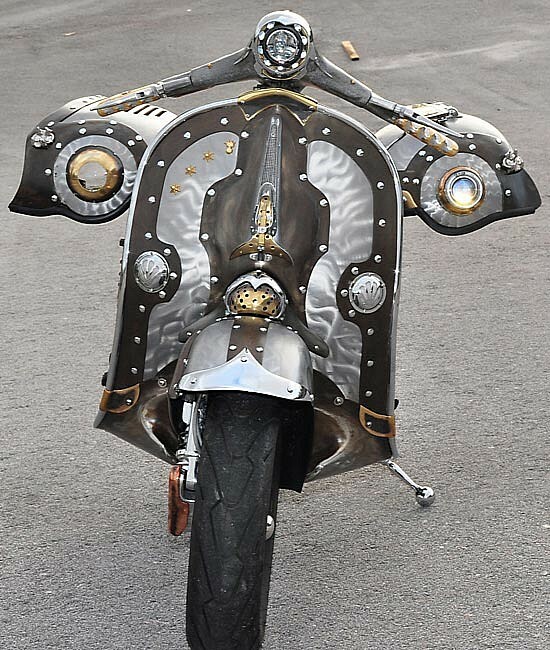 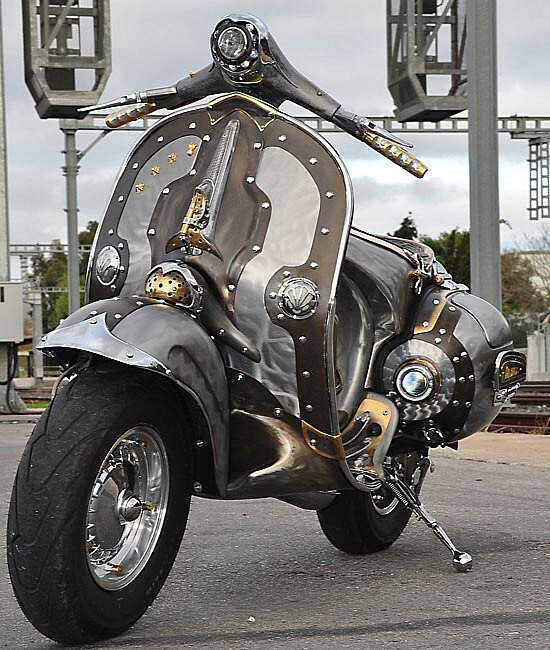 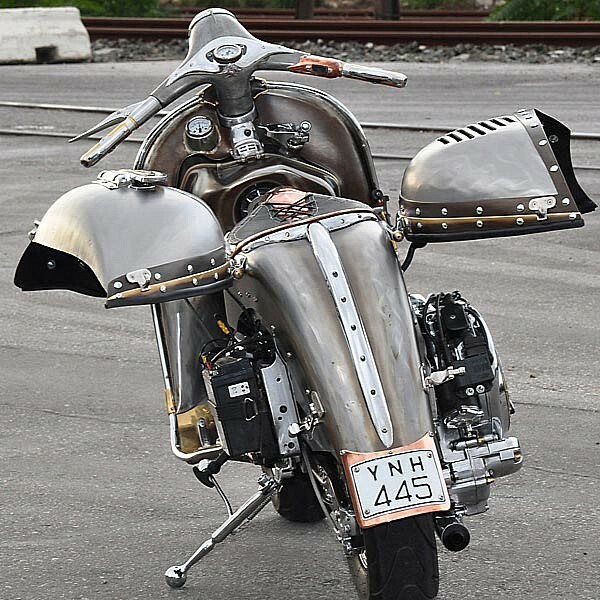 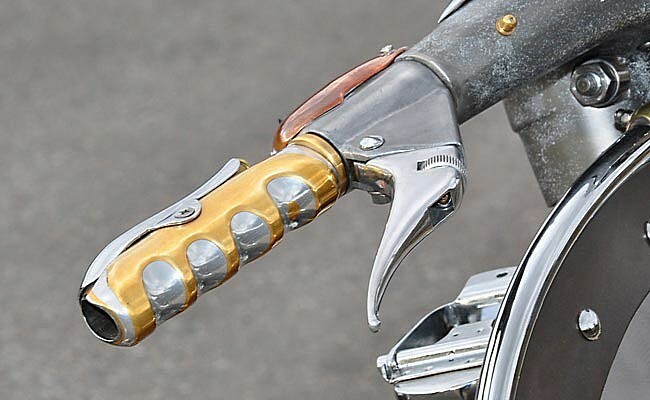 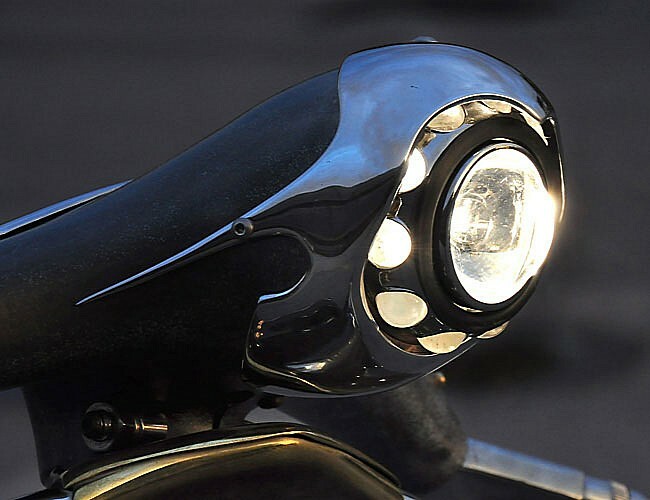 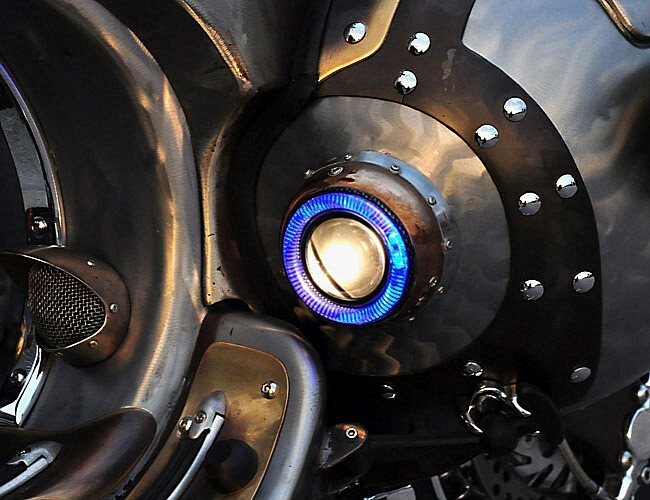 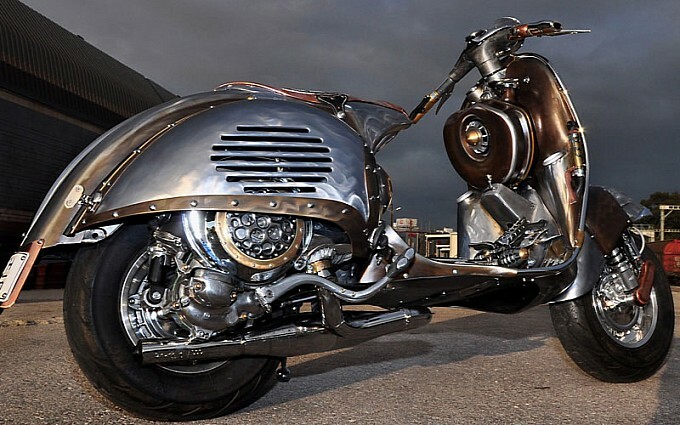 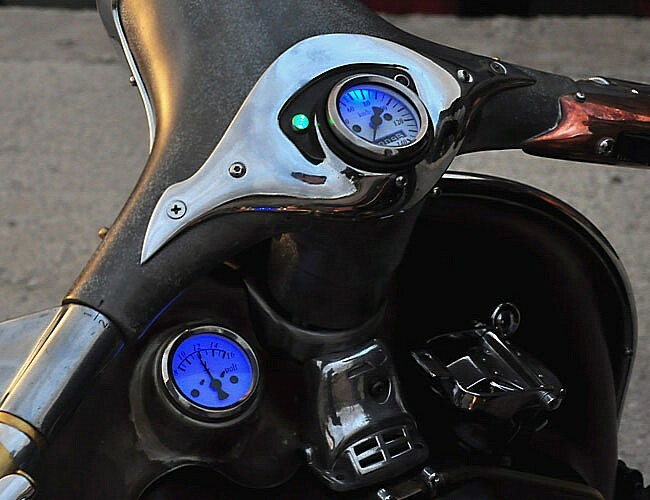 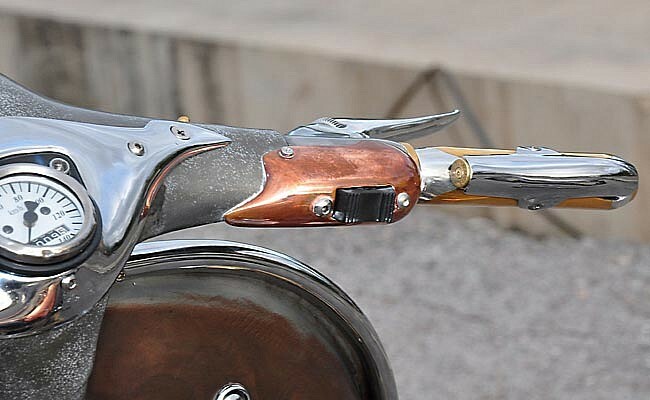 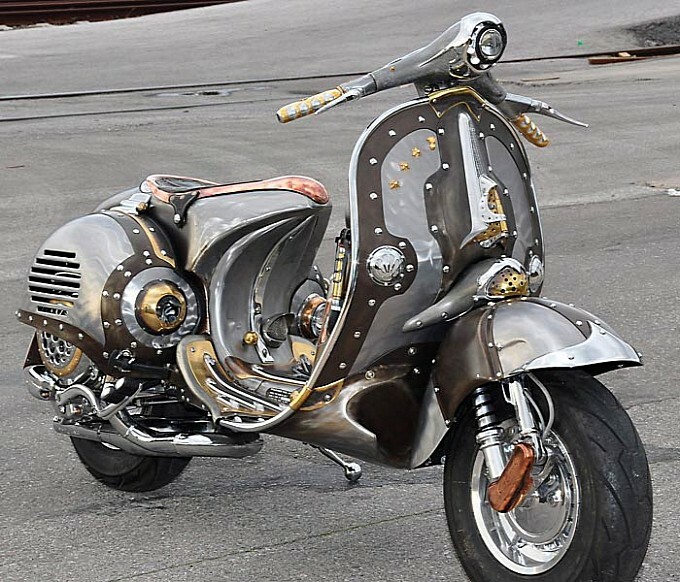 With elements of dieselpunk, retro-futurism and profound artistic vision, this bike, dubbed “The Guardian” may just take the prize as the most incredible custom scooter I’ve ever seen. 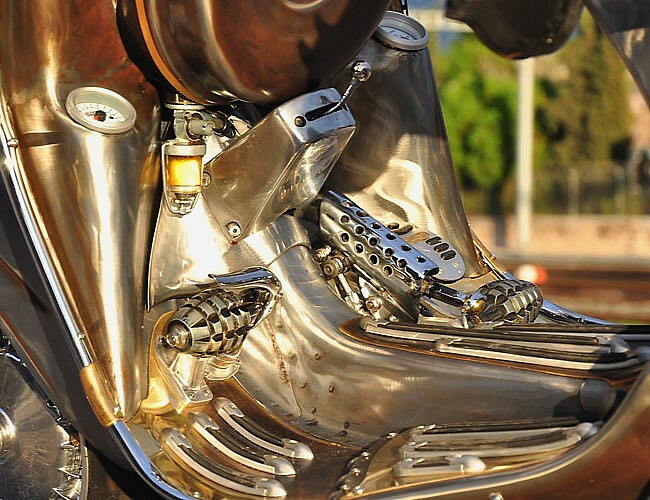 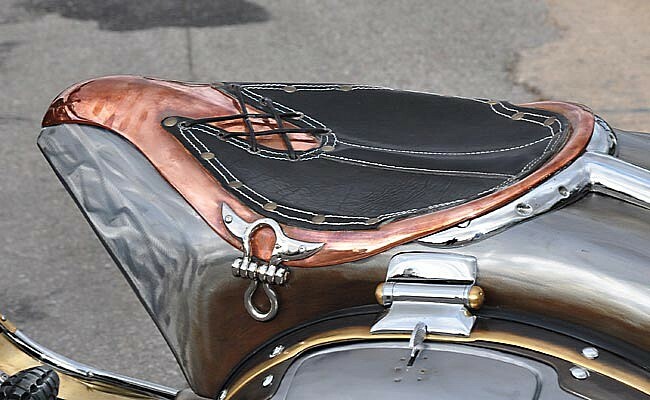 From every angle, there’s a treasure trove of detail. 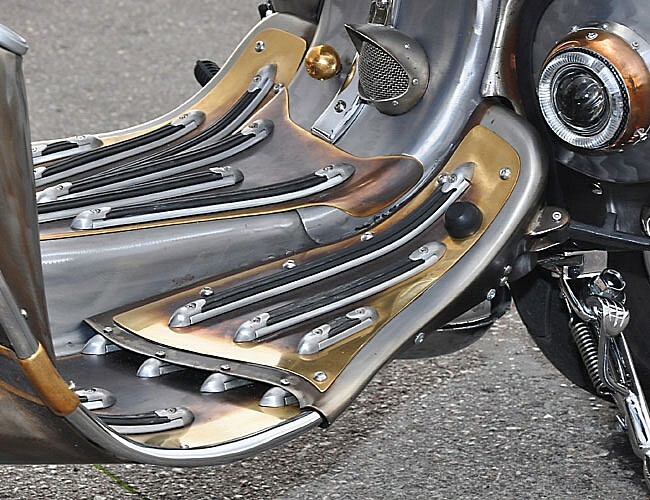 Yet there’s still a cohesive theme of repeating elements. 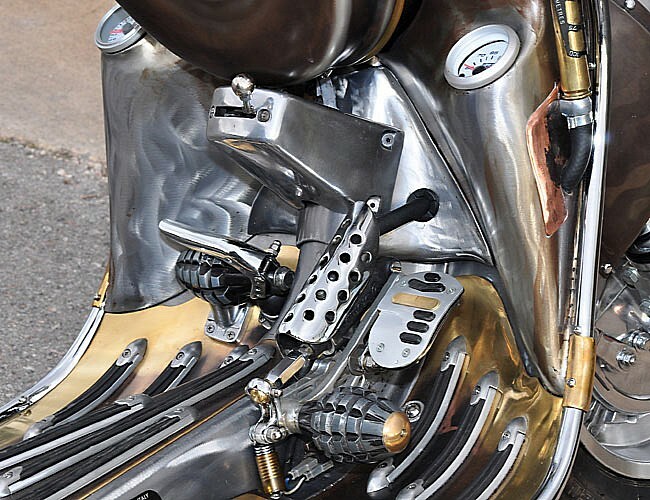 It’s extremely difficult to pay this much attention to individual details without creating a big visual mess, yet that’s just what Cris has done here — tied these elements and themes together into something far more than the sum of its many parts. 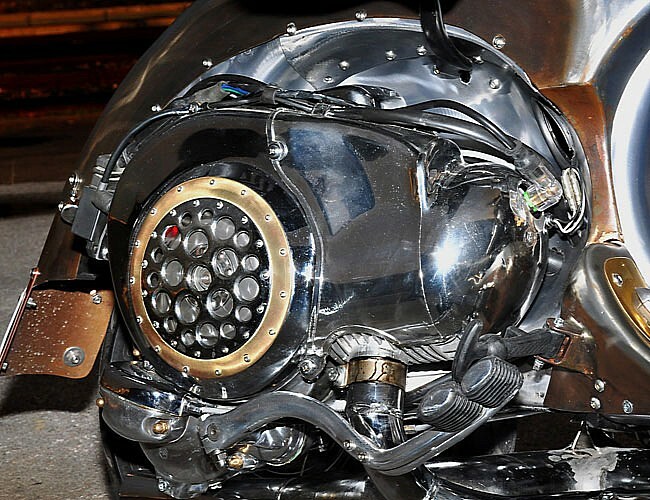 Notice the pineapple grenades throughout, and the many references to small jet engines. 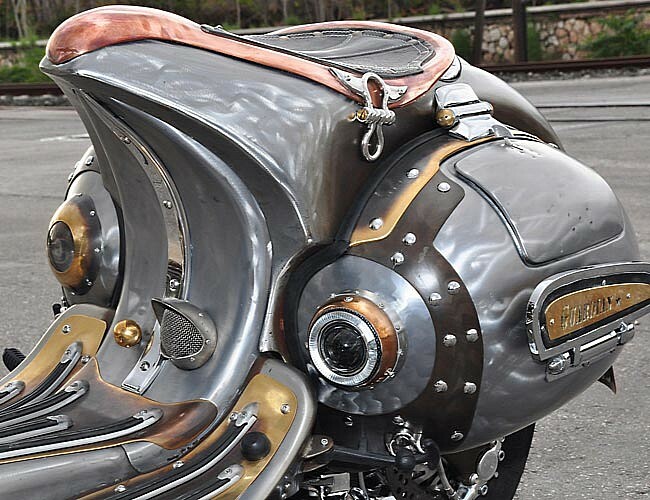 I won’t go down the rabbit hole of why this aesthetic isn’t actually steampunk (although that’s what the whole internet is calling this machine right now), but I can shorthand it this way. 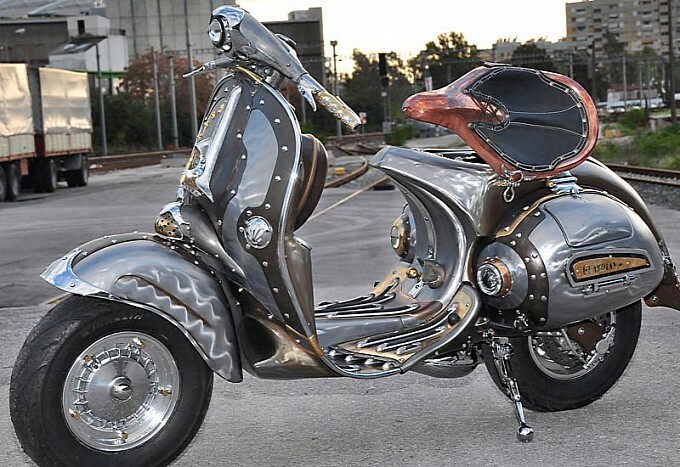 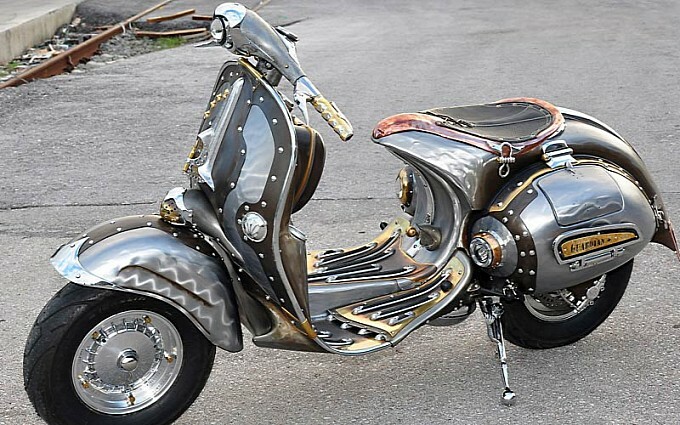 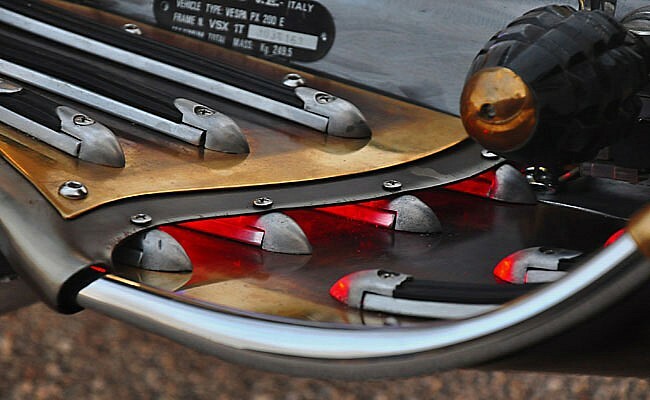 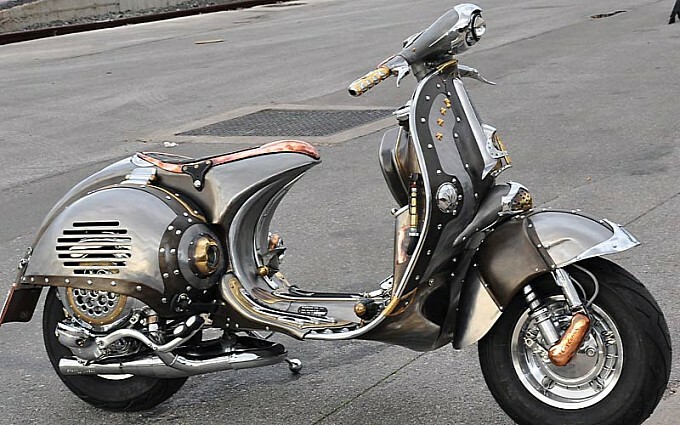 This Vespa is much more Sky Captain and the World of Tomorrow and much less Wild Wild West. 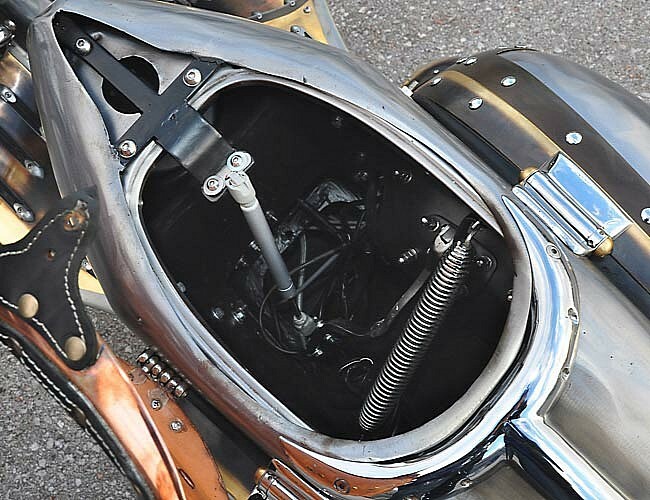 Regardless of classification, it’s a visual feast.